How to find and identify roof leaks | Level 1 Roofing, Inc. Looking for the source of a leak visible on your ceiling is a worthwhile endeavor if you know what to look for. The first spot to look is in the attic during the rain, otherwise wet the roof with a hose or other means in order to visually see the problem areas. If you have easy access up to your attic, grab a flashlight and head towards the water. Be careful to not step on a weak area of the ceiling and damage it. Visually inspect both the rafters and the roof deck in the suspected area. The basic flow of water is from the roof downwards, so if you spot water in the lower area follow the drip till you can see moisture in the roof decking at the highest point. Then go ahead and take measurements from the leak to the ceiling, then from the leak to a perimeter wall. Make sure you know approximately where you are spatially in the attic vs the roof surface. Once it is safe and the roof is dry head up on the roof and use your previous measurements to pinpoint the area of the roof directly above the leak. Depending on your roof type there may be different things to look for. Leaks in the field are uncommon unless the underlayment is exposed. Usually either if a tile has slipped or broken, or if a set of shingles lifted up or have come loose. The most likely areas to have leaks are the valleys, penetrations/vents, and chimneys. After you have identified the source, you can begin to make plans for repair. 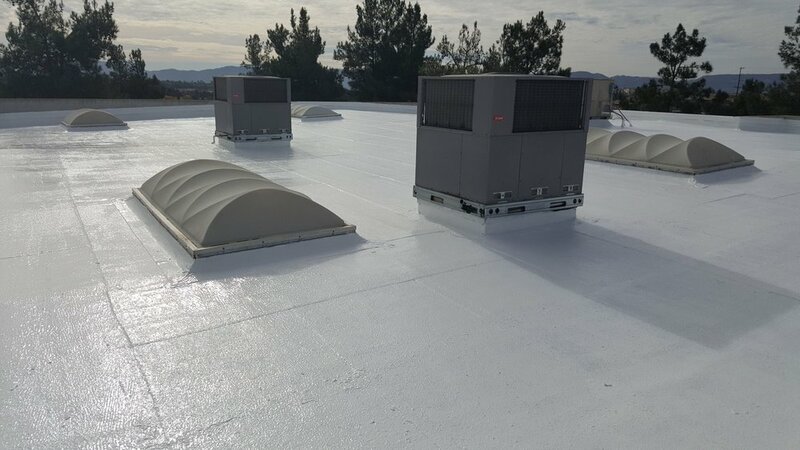 If you are planning to hire a roofer in California, Level 1 Roofing is happy to diagnose the issue for you for free and provide an estimate for repair.